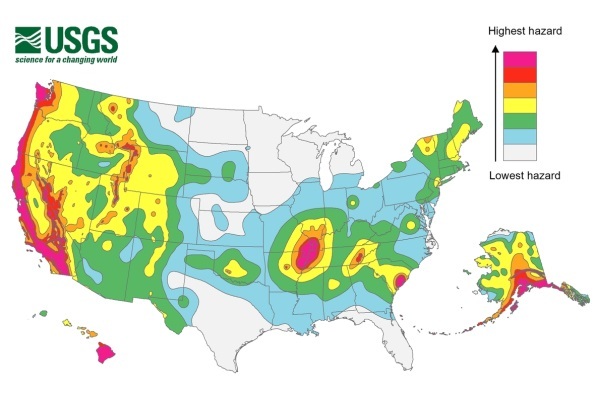 On September 21-22, 2015, in Menlo Park, California, the Applied Technology Council (ATC) and U.S. Geological Survey (USGS) convened the ATC/USGS Seismic Hazard User-Needs Workshop. Like the ATC-35/USGS National Earthquake Ground Motion Mapping Workshops, which were held in 1995, 2001, and 2006, this User-Needs Workshop provided an opportunity for individuals and groups that use the National Seismic Hazard Maps to provide feedback on existing and planned hazard information and products from the USGS National Seismic Hazard Mapping Project. Agenda. The Workshop Agenda is available here. Workshop Program.‎ The ATC/USGS Seismic Hazard User-Needs Workshop was organized to (1) elicit feedback from users of seismic hazard information and products, (2) provide a forum for the wider earthquake engineering community to discuss the transfer of seismic hazard results into engineering practice, seismic risk analysis, and public policy, and (3) make practical recommendations to the USGS National Seismic Hazard Mapping Project. ▪ Representatives of the National Seismic Hazard Mapping Project described the changes in the 2014 update of the National Seismic Hazard Maps, including changes to the hazard model input, the calculation of hazard, and the resulting differences in hazard values. The representatives also provided an overview of seismic hazard information and products currently available at the Project website. ▪ Representatives of user groups described how they use hazard information from the National Seismic Hazard Mapping Project. Users also provided feedback on the hazard products that they currently use and ideas about development of additional products or the consolidation of existing products. Location. William Rambo Auditorium, U.S. Geological Survey, 345 Middlefield Road, Menlo Park, California.